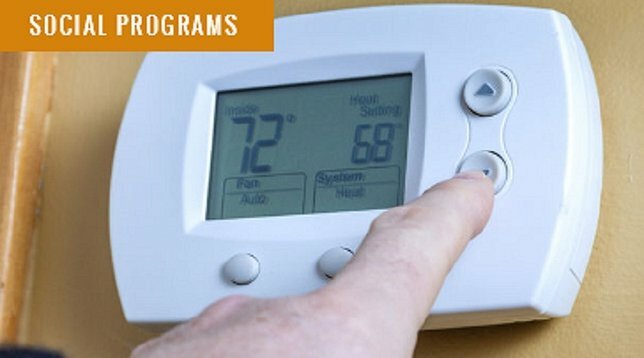 Governor Andrew M. Cuomo today reminded New Yorkers who need help paying their heating bills to apply to the Home Energy Assistance Program by Friday, March 17. Eligible households can receive up to $626 to help heat their homes. Albany, NY - March 13, 2017 - Governor Andrew M. Cuomo today reminded New Yorkers who need help paying their heating bills to apply to the Home Energy Assistance Program by Friday, March 17. Nearly 1.3 million households have already received help heating their homes this winter through the program. Households eligible for HEAP can receive one regular benefit per year, of up to $626, depending on income, household size and heating source. A family of four earning up to $53,076 annually, or $4,423 a month, qualifies for help. Anyone in New York can apply for HEAP in person or by mail here. Those who live outside of New York City can also apply for a regular HEAP benefit online. Additionally, households may also qualify for an emergency HEAP benefit if they are at risk of getting their heat shut off or running out of fuel. Anyone in need of emergency assistance should contact their local department of social services. The deadline to apply for emergency assistance is March 31. HEAP is a federally-funded program overseen by the New York State Office of Temporary and Disability Assistance. Subject: LongIsland.com - Your Name sent you Article details of "Governor Cuomo Reminds New Yorkers of March 17 Deadline to Apply for Heating Assistance"